The Local Information Commission (CLI) is an important tutorial for the ITER Organization. This week I'd like to inform you about the progress made in regard to the licensing procedure of ITER. The documents that form the legal basis for our construction permit, the so-called DAC files (Demande d'Autorisation de Création), were submitted to the Nuclear Regulator in March this year. We are now waiting for the official advice on the files. On 4 October, I took the initiative to meet the Chairman of the French Nuclear Safety Authority (ASN), André-Claude Lacoste, at the ASN Headquarters in Paris. I explained the new structure of the Organization which is now more centralized in order to increase its efficiency. 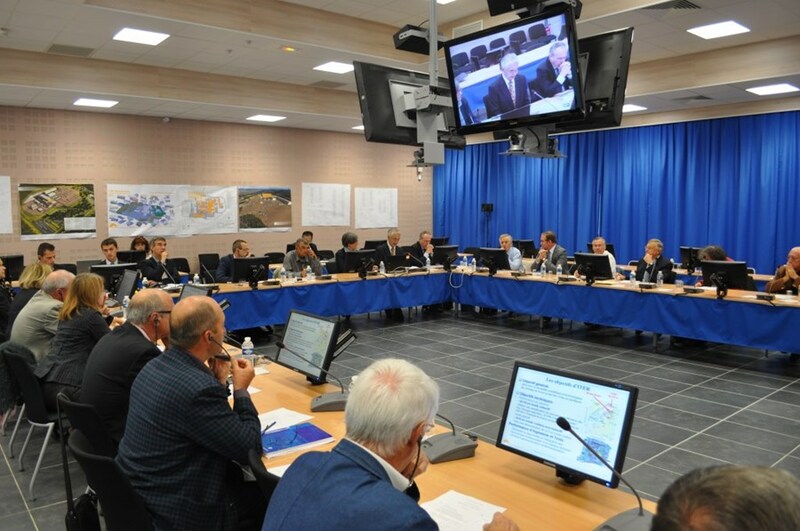 I underlined the fact that safety issues remain the highest priority for the new management which is highlighted by the fact that—despite downsizing the number of departments within the ITER Organization—the Safety Department, together with the ITER Project Department and the Department of Administration, will be one of the three departments remaining. I explained to Mr. Lacoste that our intensive efforts to simplify procedures and to reduce the overall cost of the project will not compromise safety in any way. The next step in the licensing process will now be the Public Enquiry. As soon as we receive the official "go" on our DAC file from the relevant authorities, the floor will be open to the public to inquire about ITER and its environmental and safety aspects. This is most likely to happen around the end of the year. 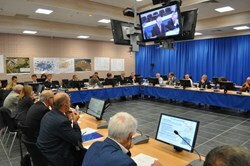 The Local Information Commission (CLI)—a panel established in 2009 and composed of elected members to official institutions, international experts, representatives from local communities, environmental groups, trade unions, businesses and health professionals - is an important tutorial for the ITER Organization. It helps us to prepare ourselves for questions that might arise during the Public Enquiry. During its third meeting held at the Château de Cadarache on 27 September, we presented the Preliminary Safety Report to the CLI. In addition Joëlle Elbez, leader of the Safety Design and Integration Section, gave a presentation on how safety issues have been integrated into the facility's design over the last three years. Following a new legal order that enables and requires the CLI to give advice on the content of the DAC files, a special working group was established to look, in particular, at the Impact Study in more detail. A special hot-line will be created to allow us to respond immediately to any question that might arise. For me it was a great opportunity to establish a good relationship with local communities and people.